iPhone XR Price, Review, Deals, Cost, & Sales! Home / Compare Cell Phones / iPhone XR Price, Review, Deals, Cost, & Sales! The iPhone XR was slated as the low-cost alternative to the XS, but it still has many amazing features like the powerful, A12 Bionic chip, a gorgeous 6.1" Liquid Retina HD display, and Face ID. The iPhone XR has a 6.1" inch display, making it slightly larger than the iPhone X. This iPhone has a Liquid Retina HD display and supports True Tone Display, an iPhone feature that matches the color of your screen to your surroundings. Like the iPhone X, XS, and XS Max, the iPhone XR has a 12 MP camera which can record 1080p HD and 4K video at 60 frames per second. The iPhone XR camera also supports 5x digital zoom and Portrait mode. This iPhone is available in 64 GB, 128 GB, and 256 GB variations. That's a lot of space for all your videos, photos, apps, and more! The iPhone XR has dual stereo speakers, meaning you can enjoy great quality audio even when you're not using headphones. The iPhone XR supports Face ID, a biometric system that's twenty times more secure than Touch ID. This iPhone uses a handful of sensors built into its notch that help it recognize your face! The iPhone XR is one of only three iPhones to be built with the A12 Bionic chip. The A12 chip has a 50% graphics process unit (GPU) and 15% faster processor than the A11 chip. The iPhone XR is designed to last ninety minutes longer than the iPhone 8 Plus. You can use your iPhone XR for up to 25 hours of talk time, 16 hours of audio playback, and 65 hours of audio playback. This iPhone also supports wireless charging and fast-charging! 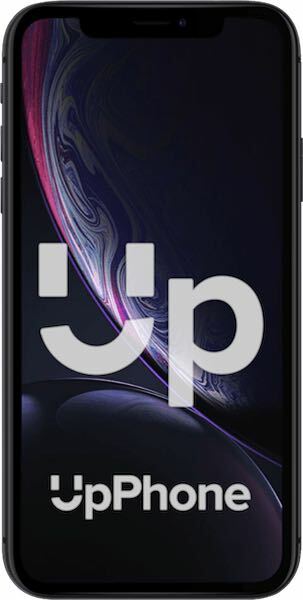 Like the X, the iPhone XR has an ingress protection rating of IP67. This makes it slightly less water-resistant than the iPhone XS and XS Max. The iPhone XR is designed to be waterproof when submerged up to one meter (roughly three feet) for up to thirty minutes.